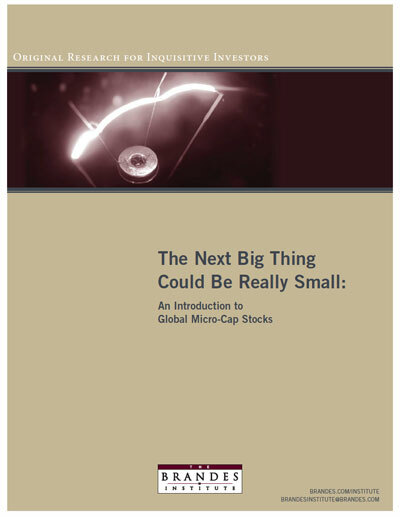 The Brandes Institute published this white paper on Global MicroCap stocks last month. I think you will find it very useful and interesting except for the fact they left out all the microcaps on the OTCBB and OTC Markets. Very good view from above. One can not look away from otc bb. There are gems that go on to uplist on the big boards.